ELIZABETH LIM grew up in the San Francisco Bay Area, where she was raised on a hearty diet of fairy tales, myths, and songs. Before becoming an author, Elizabeth was a professional film and video game composer, and she still tends to come up with her best book ideas when writing near a piano. An alumna of Harvard College and the Juilliard School, she now lives in New York City with her husband and her daughter. 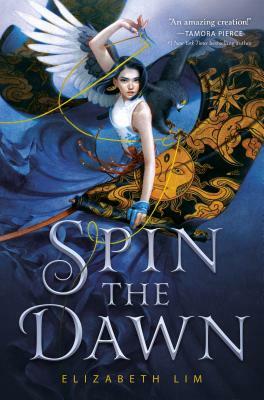 Spin the Dawn is her first original novel, and its companion in the Blood of Stars series, Unravel the Dusk, will be published in summer 2020. For more information, visit her online (elizabethlim.com) or follow her on Twitter (@LizLim) or Instagram (@elimpix).